Negligence - Negligence #35: Is Smoking Cool? Comic 35 - Negligence #35: Is Smoking Cool? 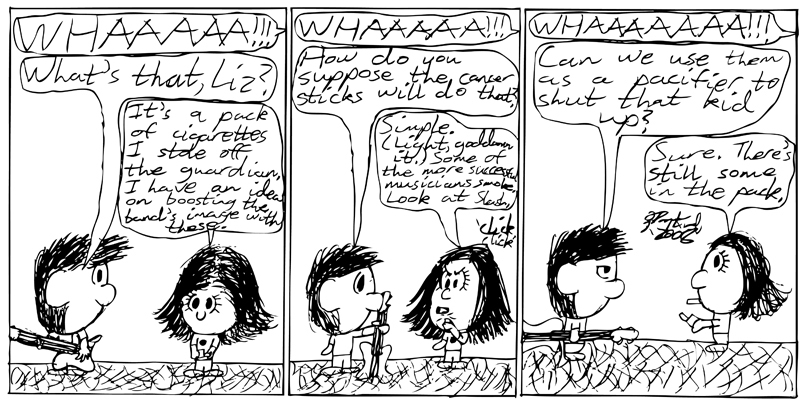 Drannik and Lizzep need to boost their band image, and Whoreson will not stop crying like a crack baby.